Lisle Attorney James S. Harkness of Momkus McCluskey, LLC has been elected to the Board of Directors of the DuPage County Bar Association (DCBA). “We are extremely gratified and proud that Momkus McCluskey attorneys have taken leadership positions in political, charitable and professional organizations, says Founding Member Edward Momkus. Momkus McCluskey, LLC, a full service law firm located in Lisle, Illinois, is pleased to announce that Member, James S. Harkness, has been elected to the Board of Directors of the DuPage County Bar Association (DCBA) for his second term. Harkness will be installed as a director on June 10, 2016 at the DCBA Annual President’s Ball and Installation Dinner held at Medinah Country Club. DCBA Directors are required to uphold the Association’s mission, which is to serve attorneys, the judiciary, and citizens of the DuPage County community. Furthermore, the DCBA Board of Directors is responsible for assisting in the recruitment and retention of members, the promotion and enhancement of continuing legal education courses, and the encouragement of attendance at Association meetings and social events. Directors respectively serve three-year terms. Harkness brings years of distinguished DCBA leadership to his new role as a director. He has previously held the positions of chair and vice-chair of the Professional Responsibility Committee, chair and vice-chair of the Civil Law and Practice Committee, and chair and vice-chair of the ADR Committee. He has also completed DCBA’s Advanced Arbitrator Training Program. 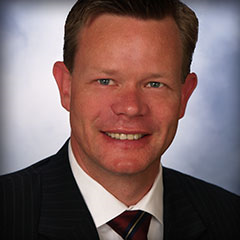 DuPage County Attorney James S. Harkness has nearly 20 years of business law experience. His practice areas include commercial and business litigation, class action lawsuits, banking regulation disputes, trade secret litigation, telecommunications, and employment law. He graduated with a B.A. in Political Science and Philosophy from Valparaiso University, and he obtained his Juris Doctor from Valparaiso University School of Law. Harkness is a certified arbitrator in DuPage County. He also serves as general counsel and is a board member of the Lisle Area Chamber of Commerce. Additionally, Harkness has served as an Appointed Special Assistant State’s Attorney in Kendall County, and most recently he has been re-elected as a Republican Committeeman for Downers Grove Township. “We are extremely gratified and proud that Momkus McCluskey attorneys have taken leadership positions in political, charitable and professional organizations. It exemplifies one of our key firm values, which is community involvement for the benefit of others,” says Founding Member Edward Momkus. The full service law firm of Momkus McCluskey, LLC is located in Lisle, Illinois. The established DuPage County law firm represents individuals and businesses with legal matters pertaining to: business law, commercial and civil litigation, appellate practice, family and divorce law, healthcare law, estate planning, and insurance litigation. The prominent attorneys at Momkus McCluskey, LLC have been acknowledged for their legal excellence by numerous professional organizations including: Super Lawyers, AVVO, Martindale-Hubbell, Leading Lawyers, and the DuPage County Bar Association. To discuss your legal matter with an experienced DuPage County attorney contact Momkus McCluskey, LLC today. Call 630-434-0400 or visit http://www.momlaw.com to schedule an initial legal consultation.